Sure. Having enough talent to act, direct, or write a screenplay is one set of skills. But navigating both the main streets and back alleys of Hollywood cannot be done with GPS. Ride shotgun with screenwriting and producing veteran Doug Richardson as he skillfully - yet so amusingly - lives, dies, survives, and thrives in the entertainment trenches. 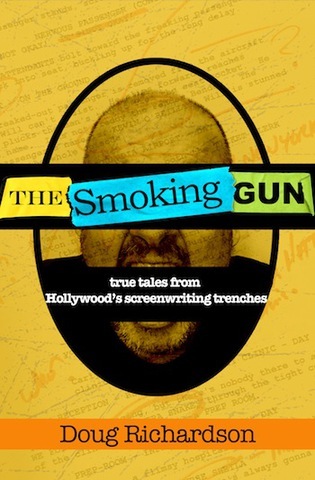 The Smoking Gun is more than a collection of true Hollywood stories, box office success and jaw-dropping failures. It’s a guided tour behind the curtain of an industry that is equal parts bright lights, backstabbing, and double-dealing. Buckle up, step into your steel jockstrap, and get ready to do battle in the carnival funhouse otherwise known as showbiz. After finishing college, Doug Richardson signed a two-year contract with Warner Brothers. In 1989, he garnered national attention when his spec screenplay was the first in Hollywood to sell for a million dollars. Doug's first feature film, the sequel to DIE HARD, DIE HARDER, was produced in 1990. He has since written and produced feature films including the box office smash BAD BOYS and, most recently, HOSTAGE. To date, Doug's features have grossed over 800 million dollars worldwide. Doug has written six novels to date: DARK HORSE, TRUE BELIEVERS, THE SAFETY EXPERT, BLOOD MONEY, 99 PERCENT KILL and REAPER.